Welcome back to the first Tried & Tested of the year 2018! 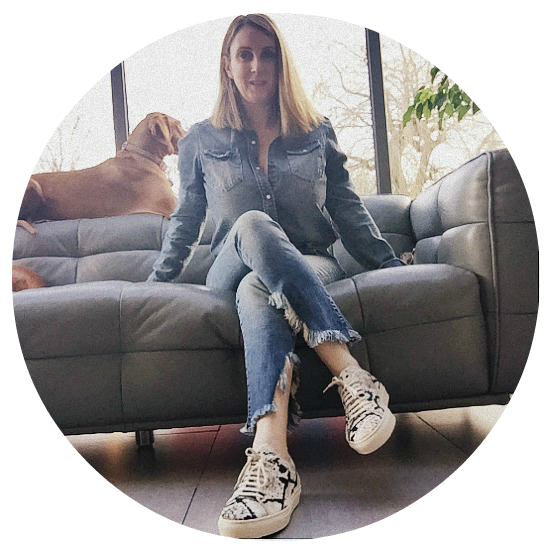 Today I’m testing a new style the J Brand Ruby High Rise Cropped Cigarette Jean in Jaded. The Fit: The J Brand Ruby is a slim- straight leg ( cigarette) fit. It’s not trying too hard and quite relaxed. Sizes 22 to 32. The Rise: The front rise measures 10 inches (high-rise) and sits just on my belly button. 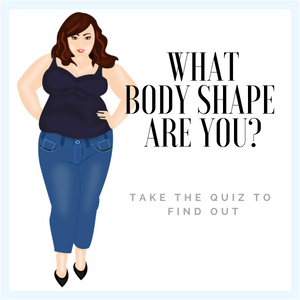 Where the rise sits on your own body shape really depends on your rise measurement. Click here to learn how to measure Your Unique Rise. The Behind: The J Brand Ruby has a curved yoke and the back pockets are placed quite high to give your derriere an illusion of a lift. The bottom area is a slightly lighter wash compared to the rest of the legs, this highlights the bottom. The Leg Opening: 13.25-Inch, The leg opening is the main attraction of this style as it has deep side splits with a frayed edging going around the opening to show off your footwear. The Leg Length: 26 Inch. The Fabric: 98% Cotton, 2% Polyurethane. This jean is pleasantly soft with a cashmere feel and slight stretch. Which Body Shape: Petite ( 26″ leg length will work for you), Apple – the slim leg and ankle slits will show off your slim legs. Curvy – the higher rise will sit well with your curves and the slight flare at the slit leg gives a flirty look. 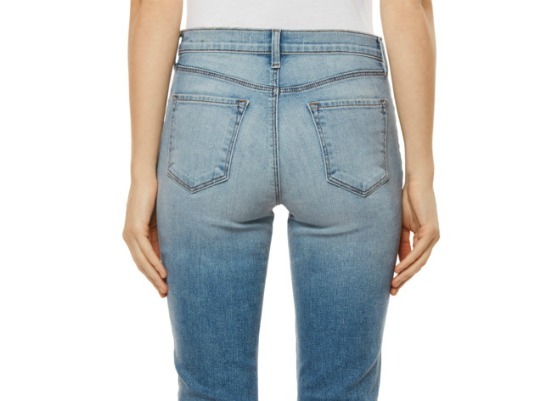 Due to the high-rise element of this jean, I do recommend that all body shapes measure their unique rise before buying online. 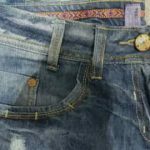 The Round-Up: There’s nothing better than buying a new pair of the latest must-have jeans to get you in the swing for Spring/Summer. The J Brand Ruby is exactly that jean, a perfect style to embrace the warmer climates. As an Apple body shape, I normally steer clear of high rise jeans as I’m quite short waisted but when I tried it on, the 10″ rise was fine. The frayed side slits really ticked the box for me as this style is so different to all the skinnies and boyfriend jeans. It breathes new life into my wardrobe. However, I suggest that you try on both sizes and maybe go with the smaller size as the fabric will loosen when worn. The price is $228.00 / £245.00 JBrand are currently offering new customers 15% off there purchase. LOVE THE JEANS YOU’RE WEARING? 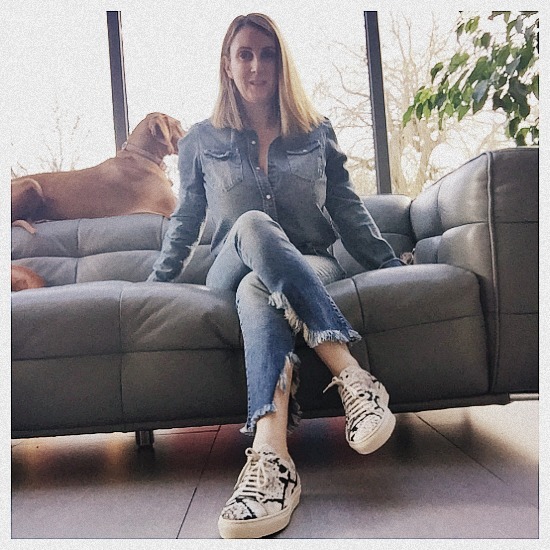 Love the jeans you are wearing then tell us about them and share your style. 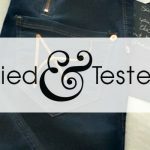 At ilovejeans.com were looking for women of all shapes and sizes to share their favourite jeans, so other women can learn from your shopping skills. We want you to review your style ( as above) and win a $50 / £50 ASOS voucher for your next purchase. Interested? Send me a message below.